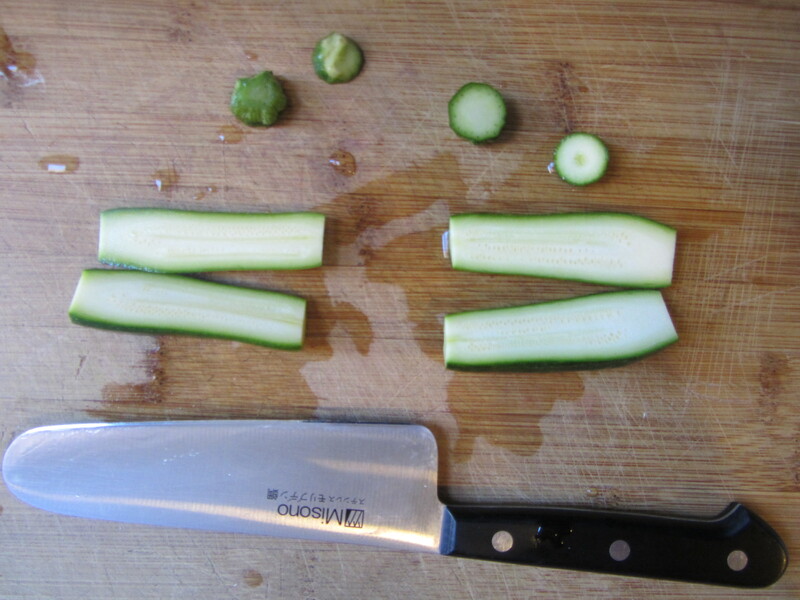 These baby zucchini inspired me to think small. Sometimes small pieces are a comforting way to begin the day. We awaken and build our day, one piece – one step – at a time. “Take baby steps,” my mother always advised when I faced a challenge. Thanks, Mom. 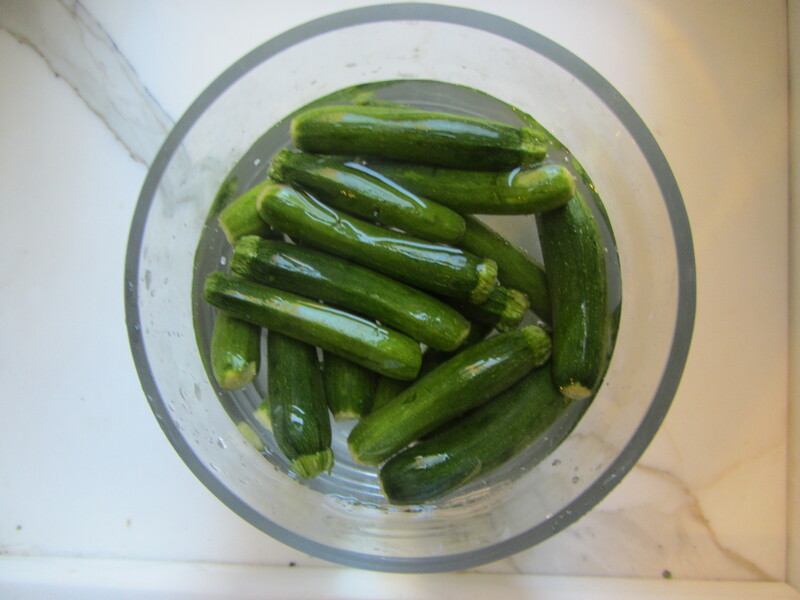 Process Wash the baby zucchini well by immersing them in water. 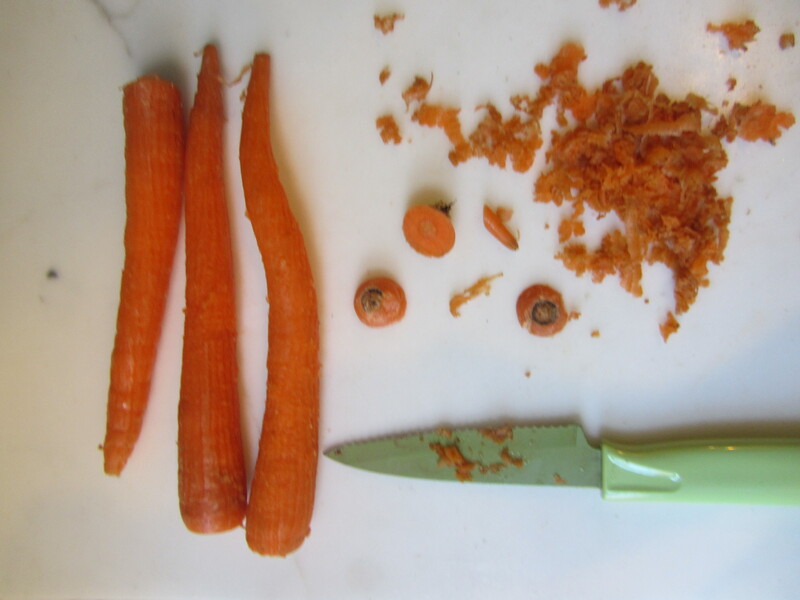 Trim and scrape the carrots; rinse them. 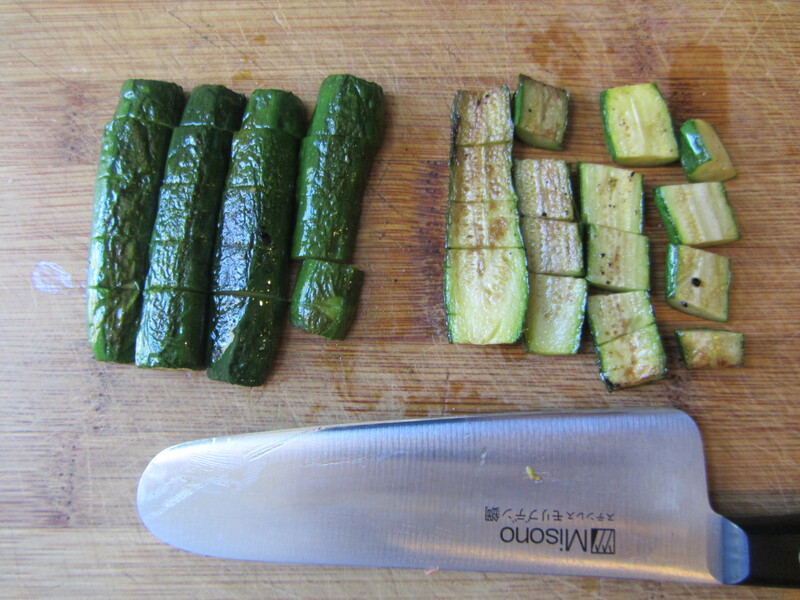 Trim the ends and then halve the zucchini, lengthwise. 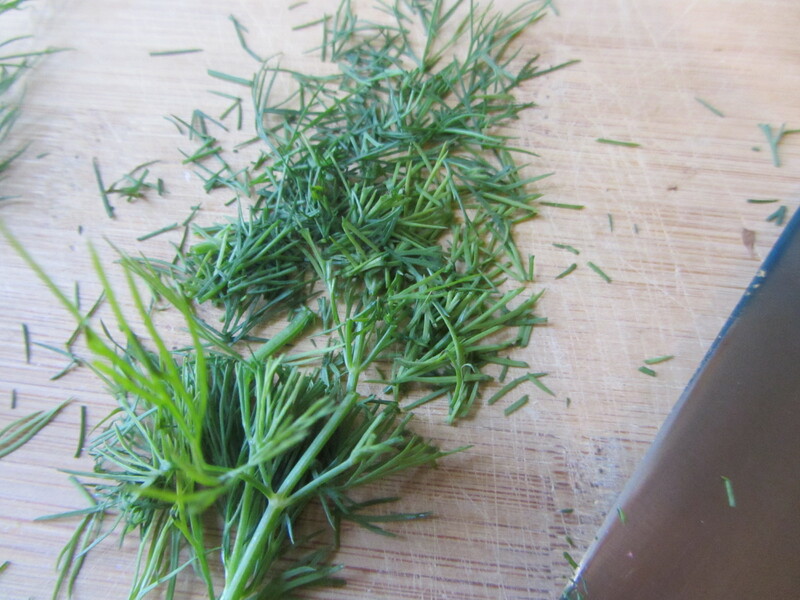 Place them, inside “face” up, in a cast iron or stainless steel skillet. 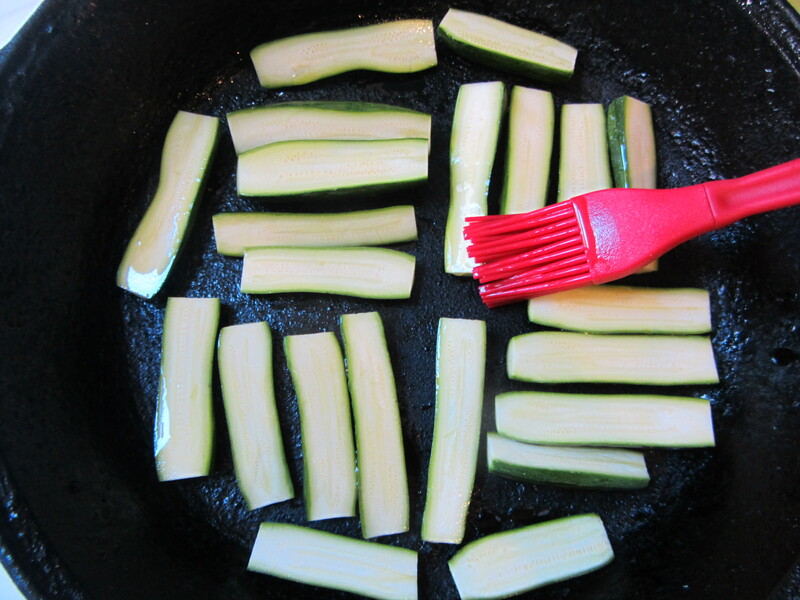 Use a pastry brush to paint the olive oil onto the surface of each zucchini. 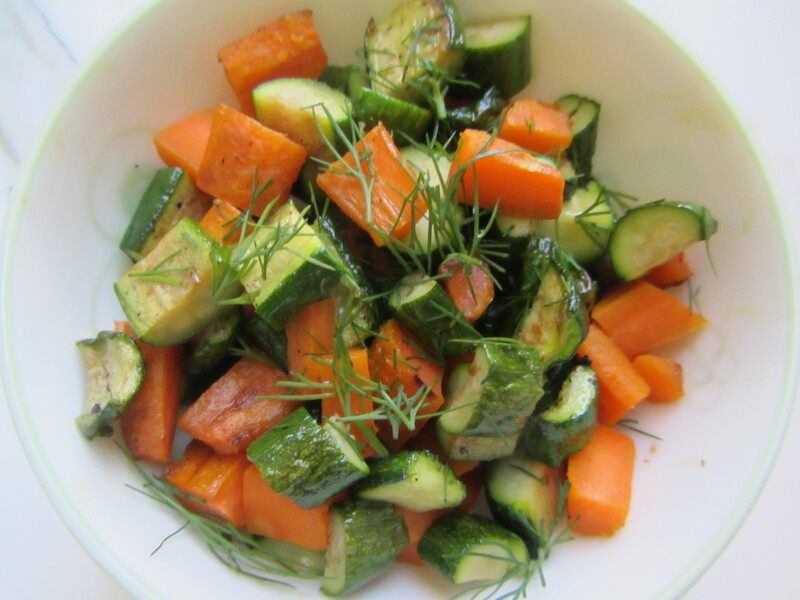 Turn the stove on and use a medium flame to gently brown the zucchini on both sides. 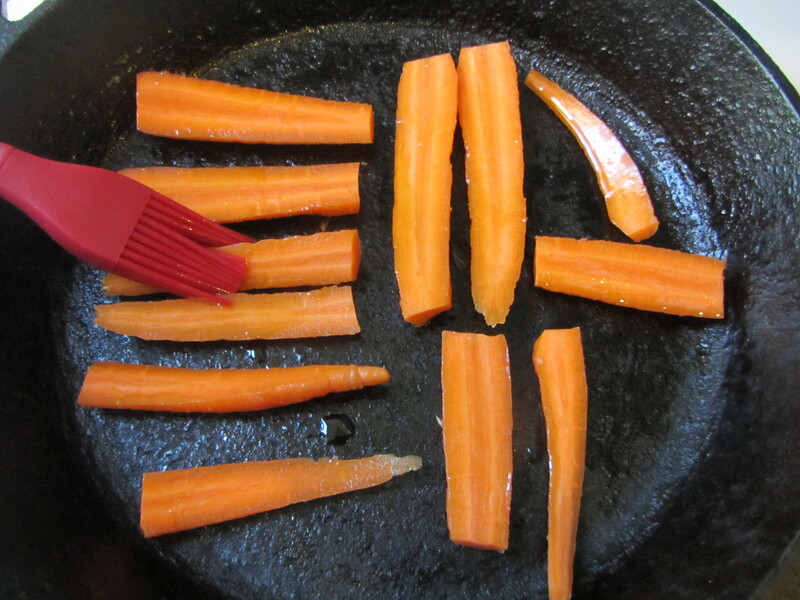 Halve the carrots lengthwise and repeat the cooking process with them. 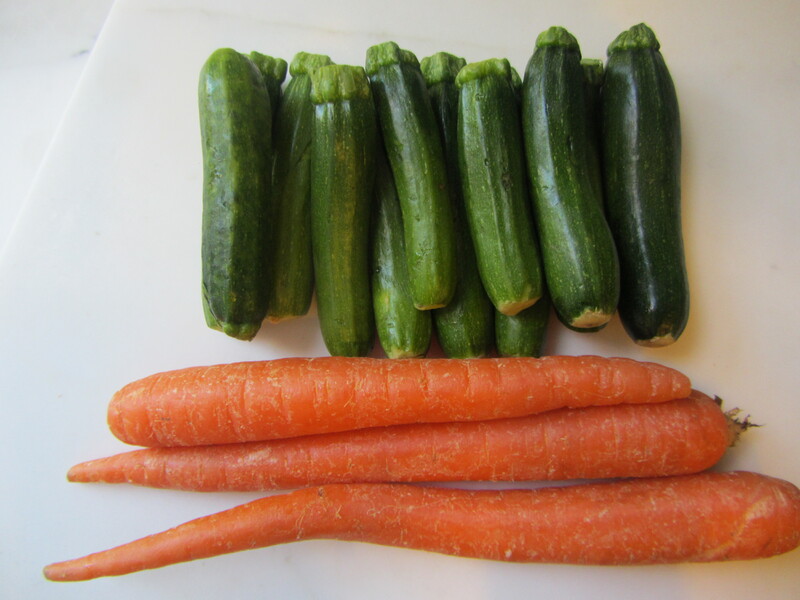 When they are cooked, cube both the zucchini and the carrots so the pieces are all about the same size. and sprinkle on top. Serve in individual bowls.